If you're anything like me, then you spent the late '90s and early '00s plastering your bedroom wall-to-wall with the smooth, angelic faces of your favorite boy bands. I was a mega Backstreet Boys fan and quite frankly, still am to this day. So when I heard that Nick Carter would be directing a horror flick called Dead 7 for SyFy that starred many-a-boy band members, I was both delighted and horrified (I hate gore). Howie Dorough and A.J. McLean of the Backstreet Boys, Joey Fatone of *NSYNC, Jeff Timmons of 98 Degrees, as well as Jacob Underwood and Trevor Penick of O-Town all star together in the zombie western. I can only dream that being bitten by a zombie means you're turned into an undead heartthrob who can't stop snapping and thrusting. Filming for the project began over the weekend, and Instagram has been flooded with behind-the-scenes pics of the cast. If you've ever wanted to see your teenage crushes caked in blood and covered in scars, now is your chance. Since the golden era of boy bands is over, we can all rest easy knowing that there will be no actual blood shed on set. The BSB vs. N'Sync days are behind us. So much so that Carter put Fatone in the project even after the former *NSYNC member slammed their 20th anniversary tour and album In A World Like This. It's all water under the jazzy choreographed bridge. Not only were Jacob Underwood and Trevor Penick in O-Town, but they were the members with the worst hair in O-Town, and that is just unforgivable. Jeff Timmons, you precious Chippendale's angel. Joey Fatone and Howie D! Joey gets bonus points having co-starred in My Big Fat Greek Wedding and appearing on Broadway in Rent. Howie gets double the points for being even finer now than he was in the '90s. DAAAAAAYYYYUM. AJ McLean, y'all. I smell an American Horror Story appearance for this one. I don't know about you, but I can't wait for the gory cheese-fest Dead 7 is going to be. 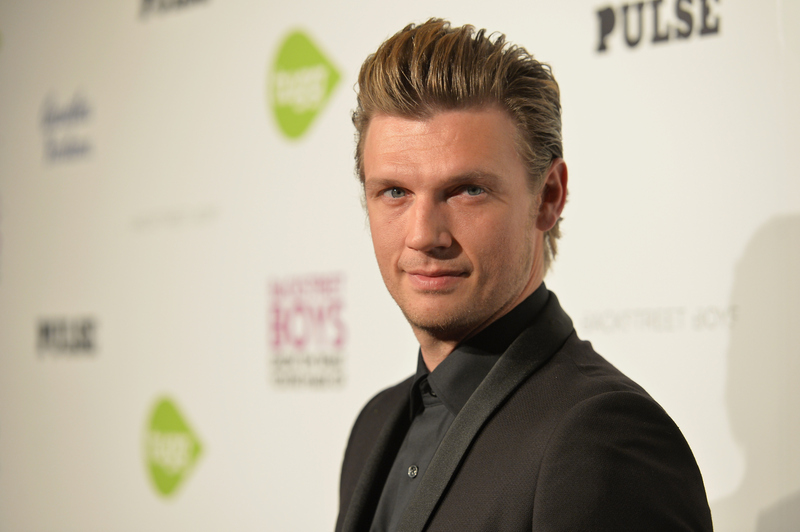 If there's not at least one nod to the "Everybody (Backstreet's Back)" music video, then Nick Carter will have done us all a grave disservice. Now if you'll excuse me, I need to sart bedazzling and puff painting t-shirts for the premiere.